Unlike many others, Cybernetics allows you to upgrade your controller(s) to faster models- when and if you need the extra power in the future. Purchase an iSAN® 3000 series today and when you need more performance you can upgrade it to a 5000 or 7000 series. Dual controller systems can be upgraded without any downtime! Upgrade to all SSD drives at any time. Upgrade to 5000 or 7000 series at any time. Upgrade to 7000 series at any time. 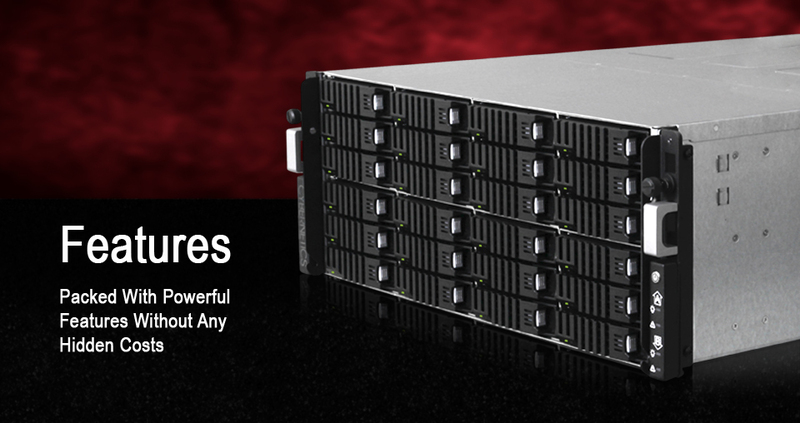 Adding storage, performance, and protecting your data has never been easier to install and manage - or as cost-effective. Modular "easy swap" design allows you to upgrade without any downtime. "I chose Cybernetics mainly for the price, performance and reliability."